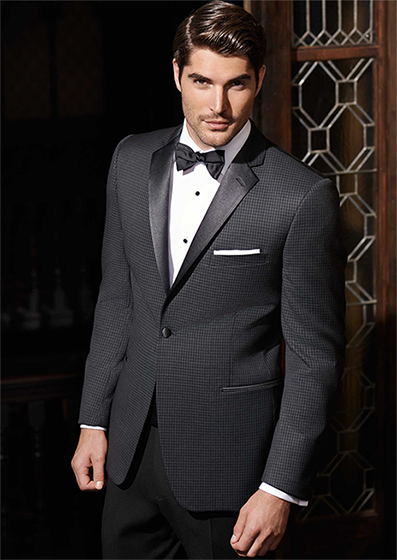 A creative spin on the growing trend for grey tuxedo coats, Ike Behar’s ‘Ashton’ groom’s coat features the same ultra-comfortable super 120s wool as its monotonal counterparts, but stands out on its own with a black and grey check pattern and black satin lapel and accents. The slim fit creates a sharp look for anyone looking for a fitted appearance. If you’re searching for something a bit more contemporary than a standard black or grey tuxedo coat, order the ‘Ashton’ by Ike Behar today!